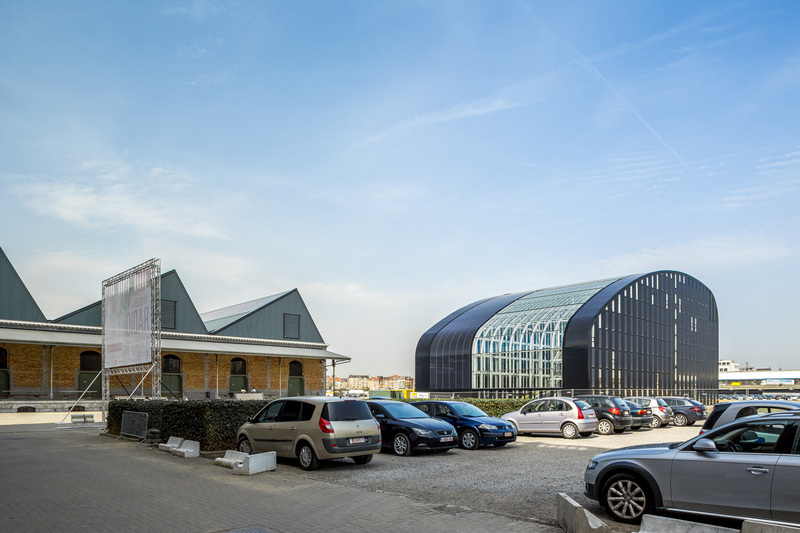 Europe’s largest entirely passive office building was inaugurated last January on one of Brussels major urban regeneration sites called Tour & Taxis on the inland port’s quayside. This area owes its original name to the founders of the Belgian postal system, the Von Thurn und Tassis family. 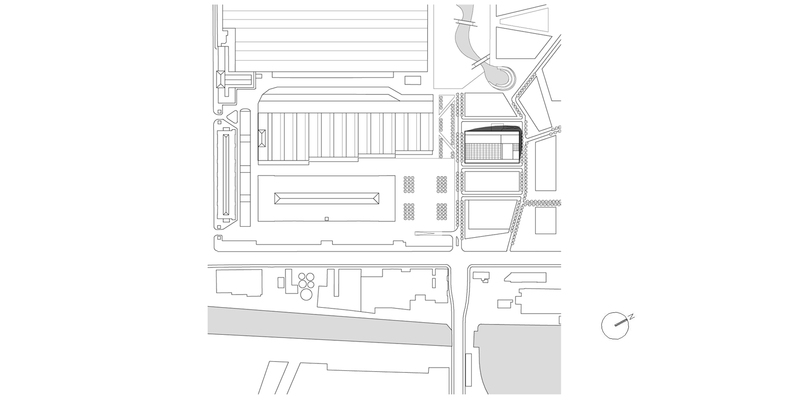 Once a major freight hub at the end of C19th with both waterway and railway facilities, Tour & Taxis is set to become today a model of sustainable urban regeneration that will attract the population back towards the canal quayside. 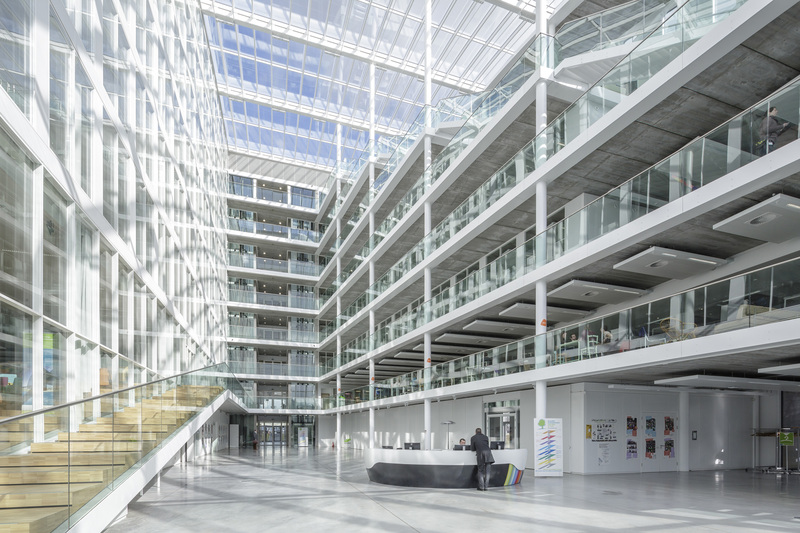 To set this major urban scheme on the right footing the Brussels region decided to launch a flagship project by locating the new headquarters of the Brussels Environment Agency on the Tour & Taxis site. The powerful, easily recognizable design of the new building acts an icon to mark the launch of this new sustainable neighbourhood programme. 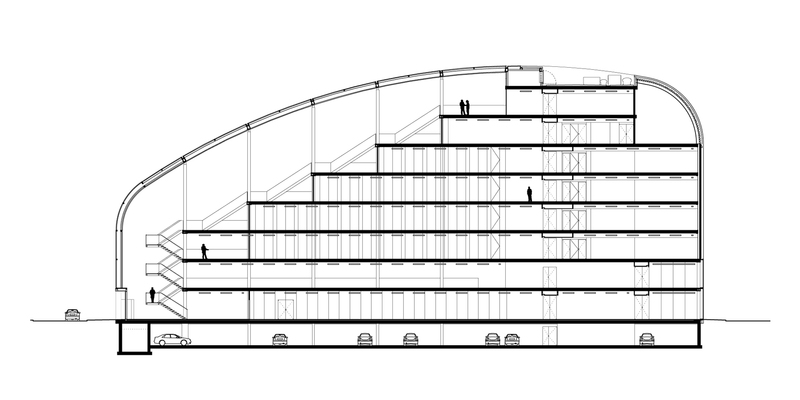 With its bulging dark roof the building was quickly nicknamed “the toaster”. 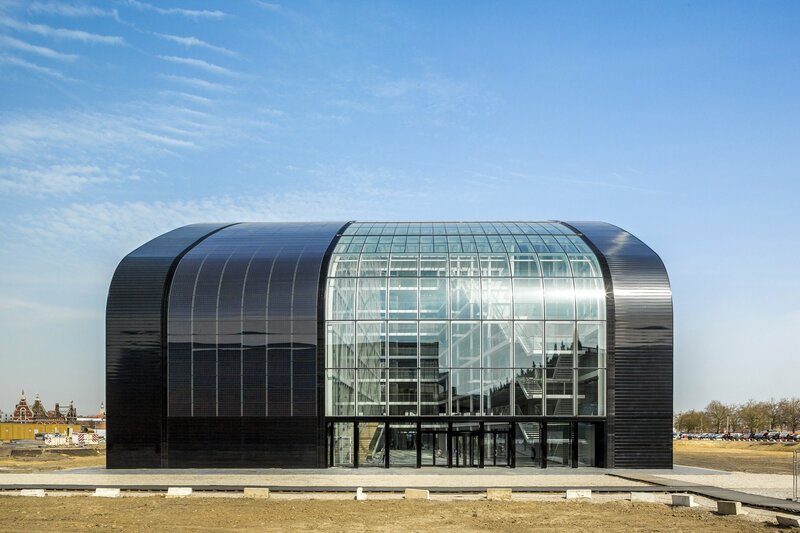 Designed by the Dutch architectural practice Cepezed it showcases all the latest technology in terms of energy efficiency. 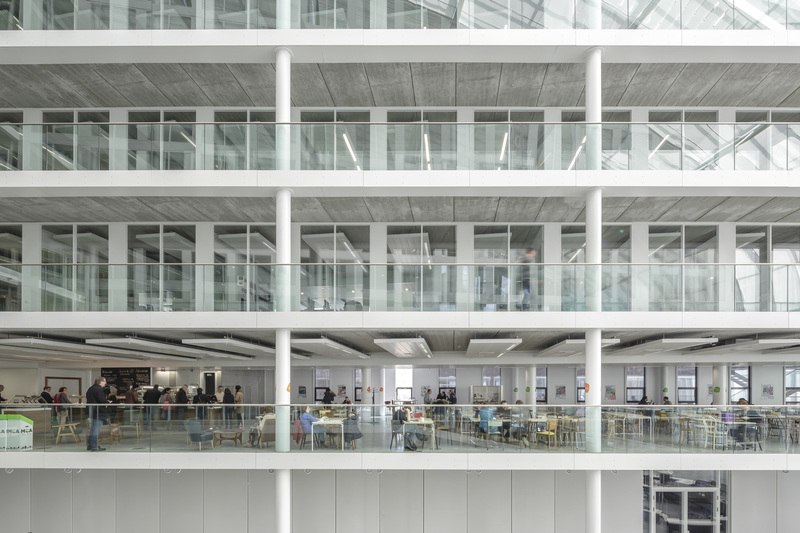 These new offices are built around a central atrium that spans seven storeys high under a bulging, transparent roof that ensures constant natural lighting. 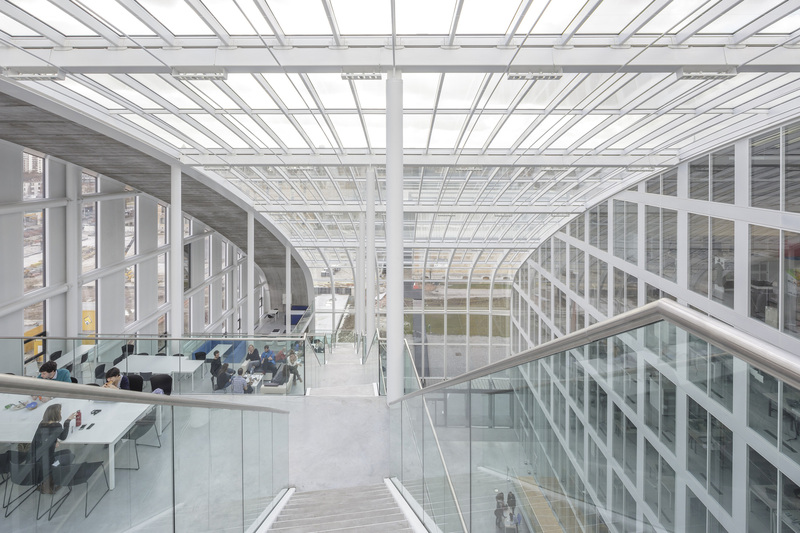 Whereas the external aluminium cladding of the building is black to absorb the sunlight walking through the main entrance you are struck by the light, airy, spacious atmosphere of the main atrium which feels like a giant greenhouse. 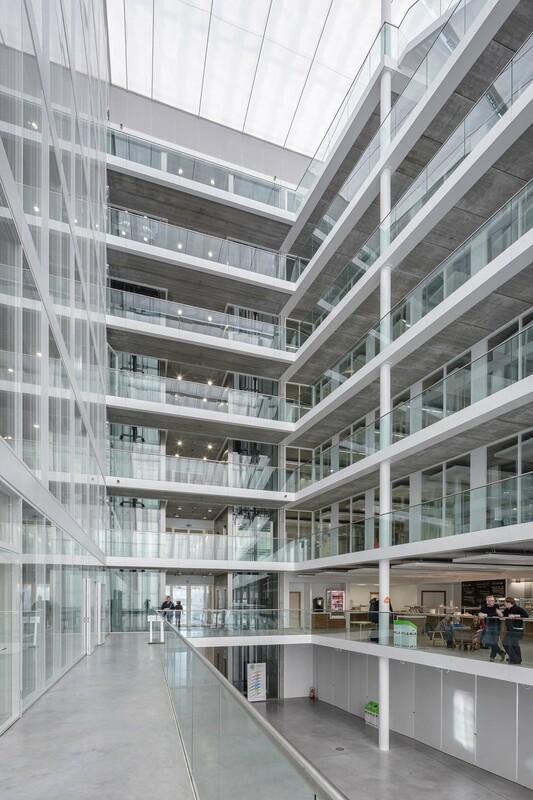 The supporting metal structure is all painted white whilst the concrete floors are staggered as you go up the different floor levels. 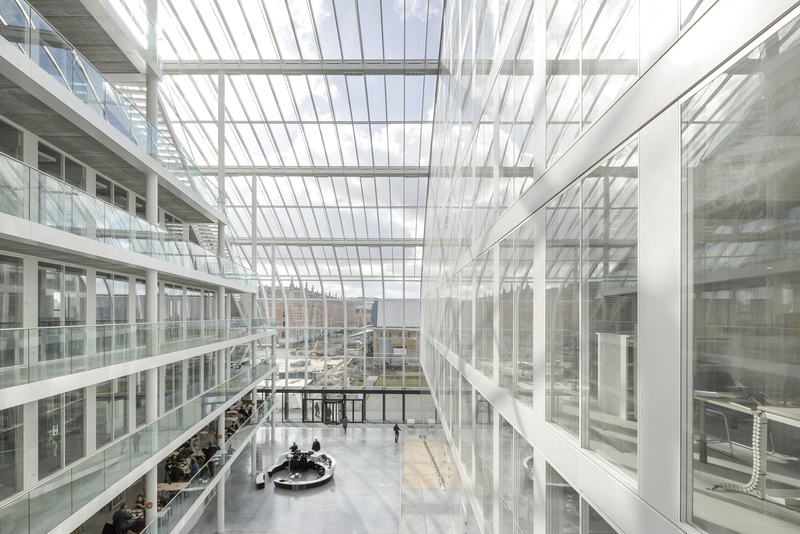 This central atrium is not only architecturally spectacular; reflecting the open square outside, it also captures heat and stores it for recycling. 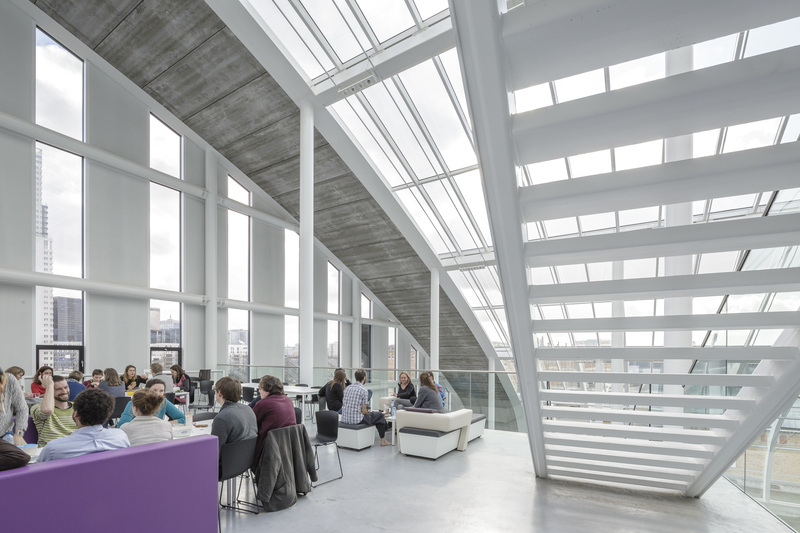 The triple-glazed roof ensures a high level of insulation whilst an automatic blind system shields the atrium from excess sunlight in the summer. 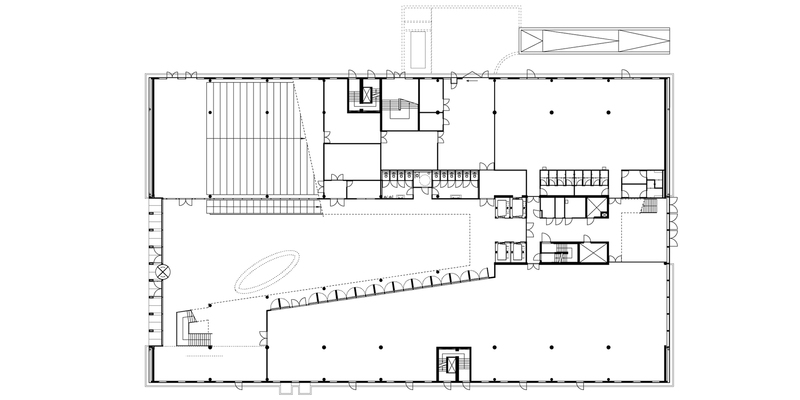 The large open space of the ground floor with its oval information desk acts as a link with the adjacent square and will host a permanent exhibition on the major environmental challenges facing 21st century cities from 2016. 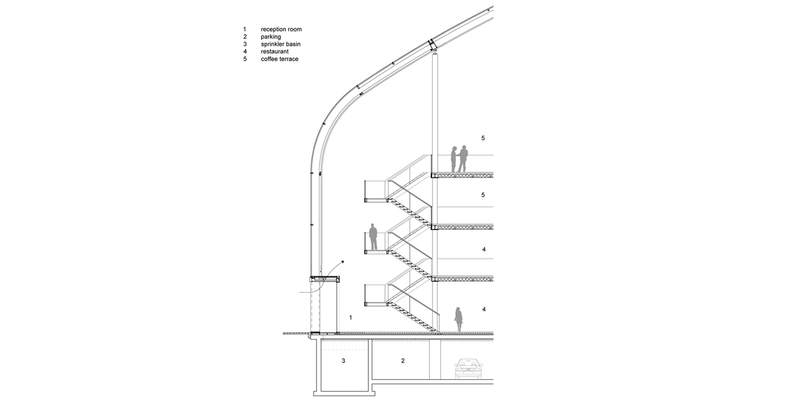 The main staircase runs around the central atrium and dovetails into a series of open balconies overlooking the atrium from the different floor levels. This large wooden staircase is, in fact, an extension of the bleachers in the adjacent auditorium, located on the west side of the building. With its colourful 415 seats and its wooden floors the auditorium is fully equipped with state of the art audio-visual equipment and can be hired for external events. 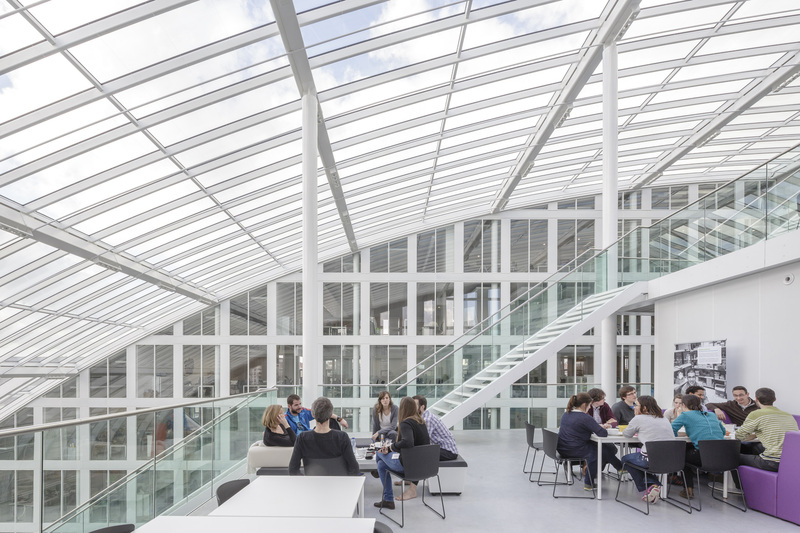 A restaurant conveniently located on the first floor and overlooking the central atrium, serves organic menus both for the agency’s staff and for the general public. 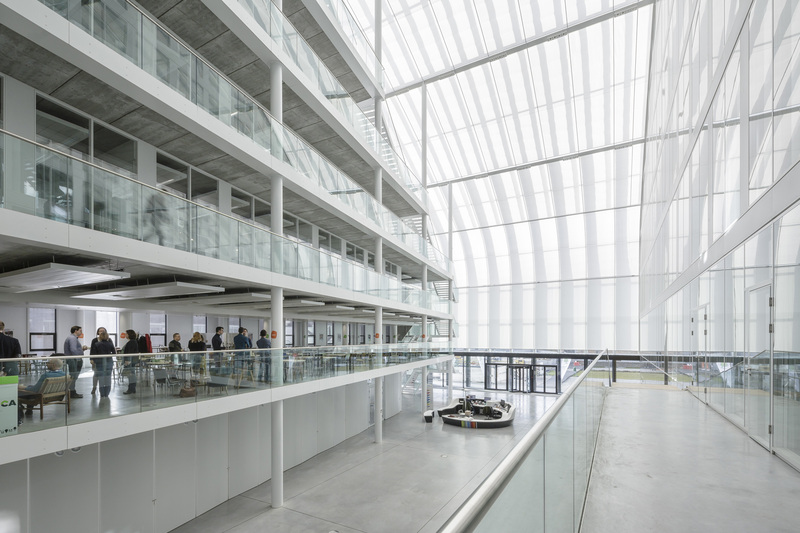 The upper floors include a laboratory and open-plan offices allowing a lot of flexibility to organise work spaces. 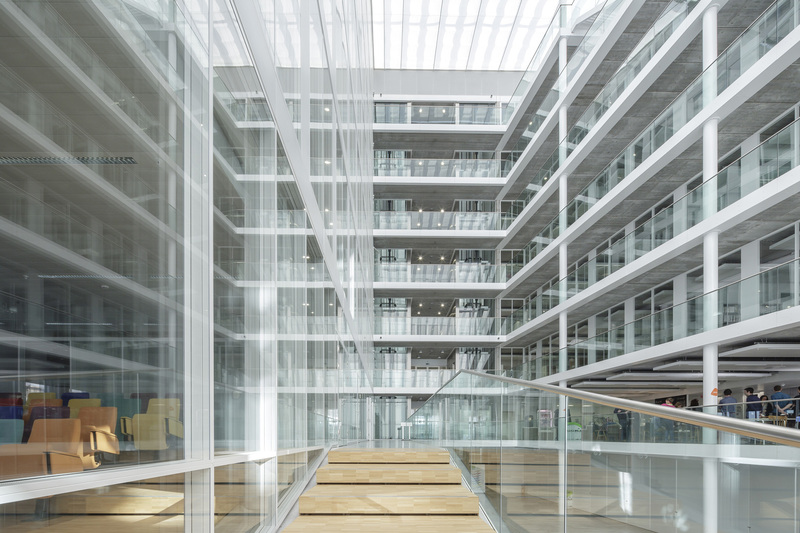 The top floors are bathed in natural daylight and provide striking views of the Brussels’ skyline. 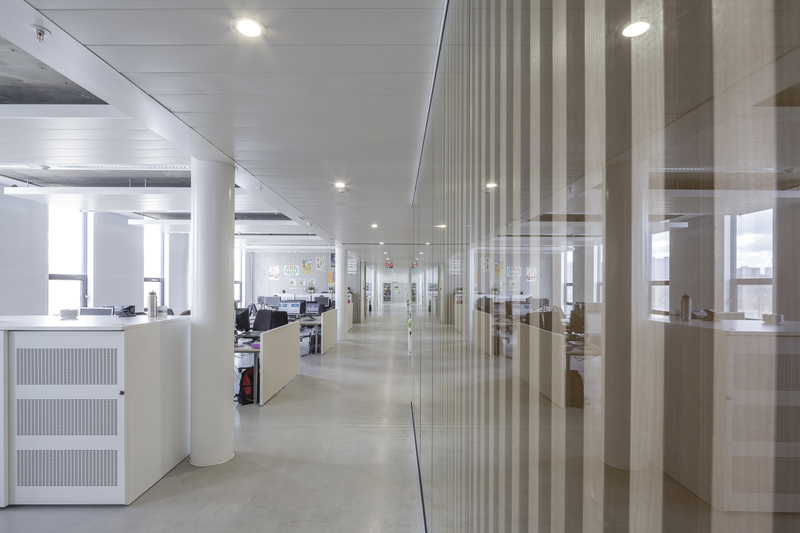 Some 900 m² of wooden screens designed by Nathalie Daele, the agency’s in-house architect, are disseminated throughout the different floor levels. 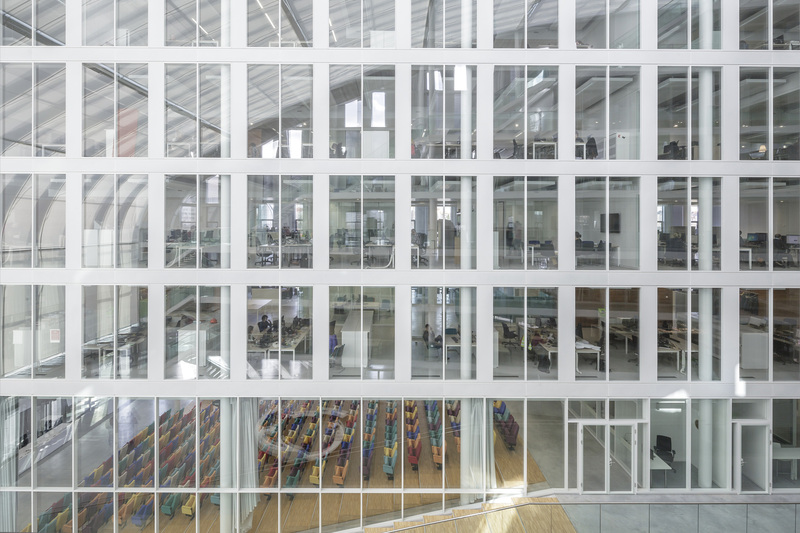 Manufactured in American cherry they help to organise the different work spaces in this largely open-plan office layout. The rich, warm tones of cherry stand out very effectively against the plain white and light grey tones of the concrete floors and ceilings. 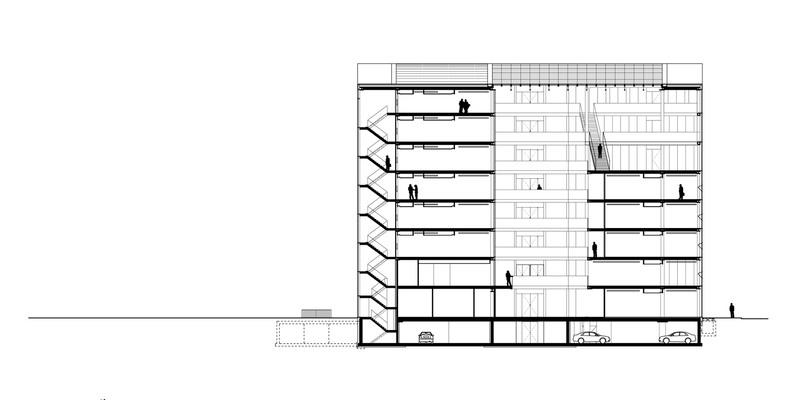 The wooden screens bring into the building a natural element that acts as a thread line on the different floor levels. On the first floor the Brussels Environment information centre is adjacent to the restaurant on the first floor and allows visitors, school groups and NGO’s to find practical information about environmental issues and obtain first hand advice from the Agency’s team of advisers. 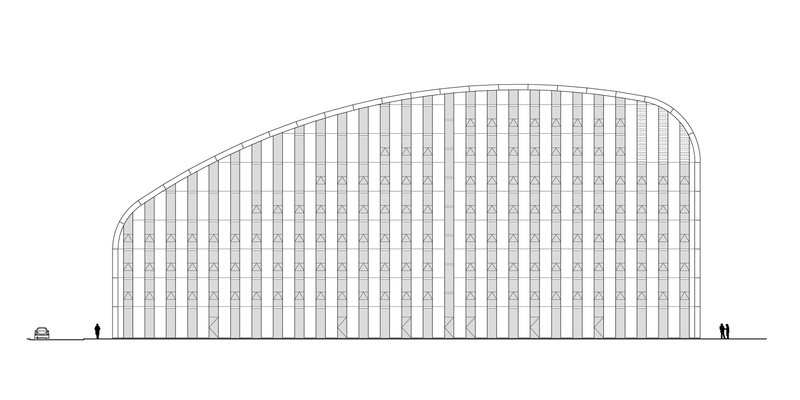 A wooden screen in slats of American cherry spans almost the entire width of the visitor centre. The tall, almost 3-meter high cherry veneered slats have been assembled vertically on their edges onto a solid wood base. 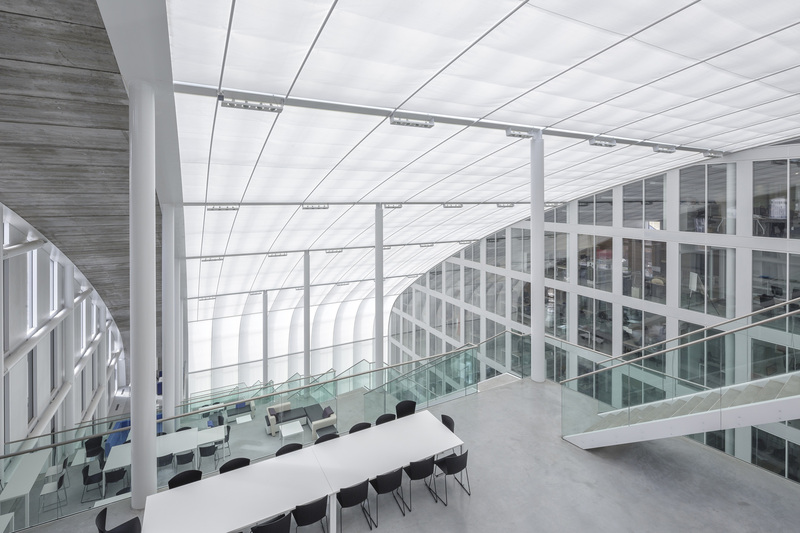 Furthermore, certain slats have been coloured using the colour scheme that runs throughout the building: each colour represents one of the fields of environmental science that the agency covers. Three solid book ledges have also been integrated into the slatted partition to display the agency’s publications. 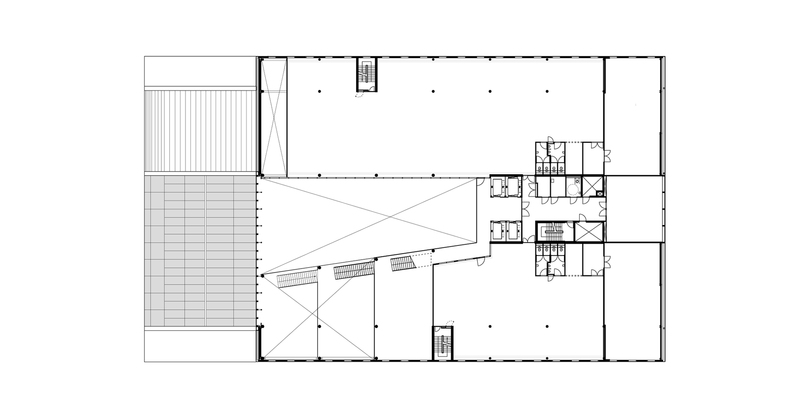 According to the different floor layouts the architect has cleverly combined tall, open slat screens with lower solid wood screens. 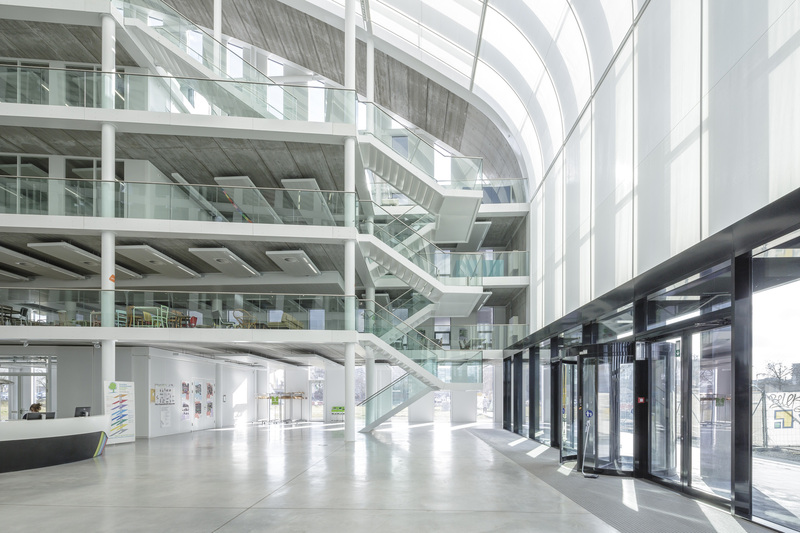 The slatted screens allow the natural daylight from the central atrium to pervade the building whilst the solid screens hide certain functional elements such as coat hangers, copy machines or simply provide more privacy for certain meeting areas. 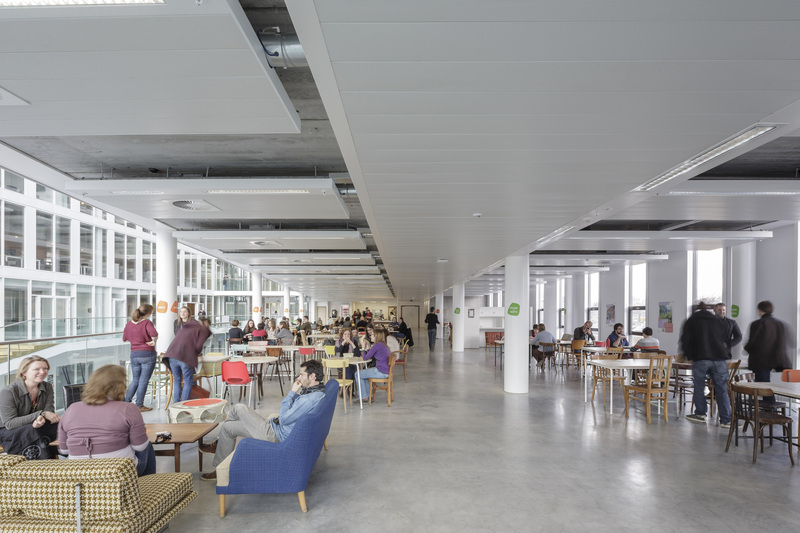 The different screens stand at right angles from each other and switch from solid facing to slatted partitions to give each space a different character and identity. The solid screens are made up of solid 18mm thick cherry that has been beautifully assembled horizontally with tongue and groove joints in widths varying from 90mm to 180 mm. A plain water based varnish was applied to the strips prior to their assembly to bring out the grain patterns and different colour tones of the cherry.